Crystals and gemstones carry a pure form of energy, can be powerful healing tools. In fact, each gemstone and crystal has its own personality and maybe even, its own form of consciousness. Many gemstone enthusiasts believe that crystals have their own type of consciousness. While the level of consciousness a crystal or gemstone has is not close to that of the average human, it’s believed by many that crystals, just like everything else in this Universe, has a consciousness. While we might not be able to comprehend the “consciousness” each thing in this Universe possesses, it is very likely that everything in the Universe, including gemstones and crystals, have some form of consciousness. While you don’t need to treat your gemstones and crystals with the same care you would a pet, when you do care for them, and treat them with respect, they will work better for you, and more efficiently. Crystals and gemstones are known for their ability to facilitate healing, but they can actually also communicate messages; crystals are like storage devices, holding information that can be downloaded to their users. After working with a crystal, you may gain new insights or receive new information. One popular method of using crystals for communication is through the use of a pendulum. You can dangle a crystal pendulum over the body to locate areas of tension and stagnant energy. Wherever the pendulum is drawn to, is an area that may need healing. Crystal pendulums can also be dangled over a map to locate a perfect destination to travel to, or find things or people. You can also ask crystal pendulums for guidance by asking yes and no questions. A crystal can be charged with the intention to astrally travel through different dimensions, and meet Divine beings, such as Angels and Spirit Guides. Or simply to gain access to to higher dimensions through lucid dreams, in order to receive answers, to questions both profound and mundane. Successfully programming a crystal for this type of task can be an awesome experience! Crystals can be attracted to particular places or people, and it’s as if they have the ability to will themselves to go where they want to go, and be where they want to be. There are many stories of someone losing a crystal, only to have it turn up months or years later, out of the blue. You may have experienced this yourself, or have felt drawn to either buy a crystal or particular gemstone, or give a crystal or gemstone away to someone particular. When its time for a crystal to go, it really seems that it has a mind of its own! 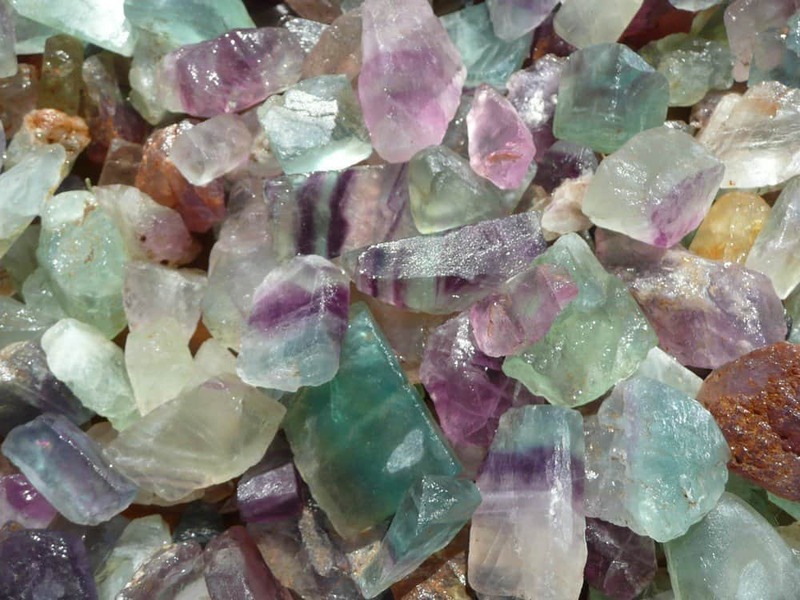 Crystals and gemstones can change color, depending on the energy of the person that uses it. If your crystal develops brown spots, that can represent a dense or dark energy, that is being transferred into the crystal, as part of a healing process. The crystal is helping to heal and cleanse your energy, and brown spots can be proof of that. Crystals can also get brighter and more brilliant, or darker and duller, or develop an amazing rainbow, depending on the energy of the person using it.